The world is in transition. We are in transition. Change – and the desire for change – is everywhere you look. Yet we scarcely understand change, let alone know how to pursue and steer it wisely. This book offers an intimate view of how, why and when we change. Can we make it happen when we want to? How do we deal with it when we have no choice? We are faced with political change, we find ourselves divorcing, made redundant or bereaved. We long to lose weight, to move somewhere new or to mend a bad habit. However it comes about, Polly Morland shows that change is not an event, but an evolving process at which we are more skilled than we realise. 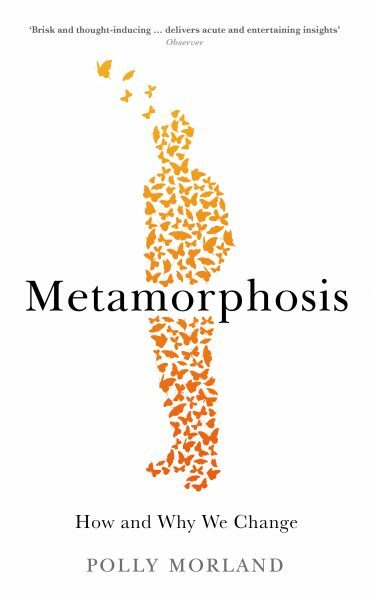 Appealing to anyone who is stuck in a rut or who wants to think afresh about change in a turbulent world, Metamorphosis brings psychology and philosophy to life: it is about why real people change, and how our imaginations can drive that transformation. A wonderfully wide-ranging study of the principle of inconstancy …Morland hops adroitly through philosophy and literature and psychology … a measured, ever-curious and approachable guide. Wonderful… it really is a brilliant book. Written with Morland’s characteristic warmth and humour, this is a fascinating, insightful read that will both galvanise and inspire. A book that should be on all our bedside tables. This insightful collection of real-life stories offers catharsis and inspiration. Published in the UK by Profile Books in 2016. The UK paperback, updated with brand new preface, came out in May 2017. Chinese and Taiwanese editions are forthcoming.